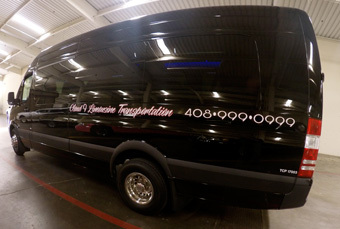 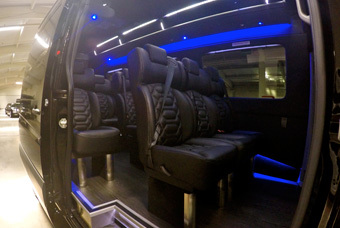 “New VIP Mercedes Executive Sprinter” loaded with all the vip comfort and high tech entertainment features you need during your ride. 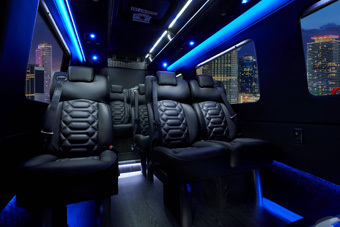 Mercedes Sprinter Package- 6hr package: Looking to transport your staff in a VIP Executive Mercedes Sprinter to and from an corporate event. 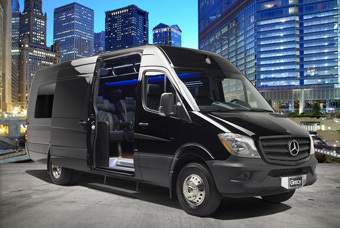 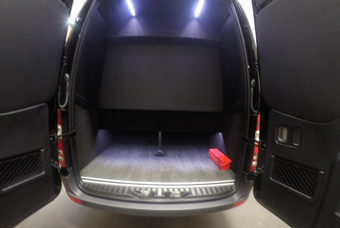 The Mercedes Sprinter has it all from individual captain chairs for comfort along with all the high tech entertainment features you can enjoy during your commute.